What if I lease a car? 1.Decorate wisely. 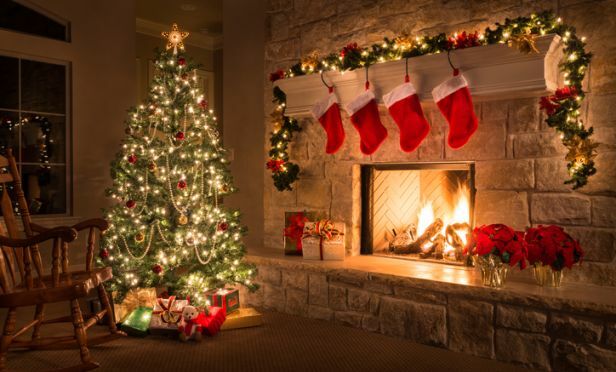 To help reduce the risk of fire, use non-flammable or flame-retardant decorations. Planning your displays carefully is important to help reduce the risk of fire, electrical shock, trips and falls and property damage. 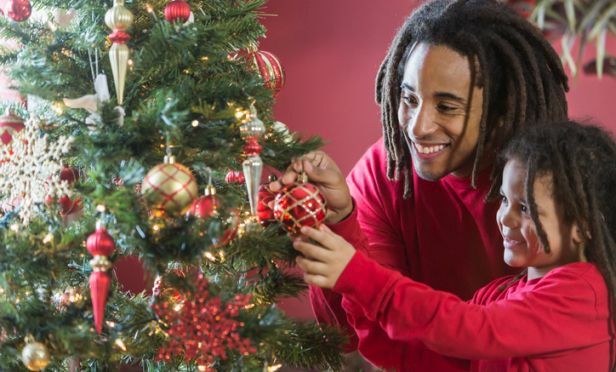 If you decorate a Christmas tree, select a quality artificial tree and decorate with only UL-listed lights. If you choose to have a fresh tree, be sure to keep water in the stand at all times. 2. Use candles responsibly. 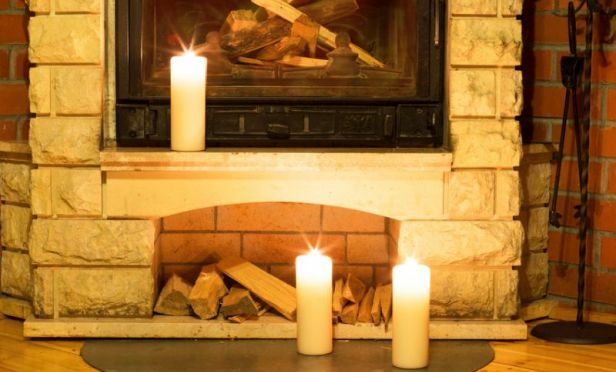 December is the peak time of year for home candle fires — the top three days for home candle fires are Christmas, New Year’s Day, and New Year’s Eve. Each year between 2012 and 2016, an average of 8,200 home candle fires were reported each year. Keep lit candles at least 1 foot away from anything that burns and make sure candles are out of reach of children and animals. Also, extinguish all candles when leaving a room or before going to sleep. 3. Keep your tree away from heat sources. 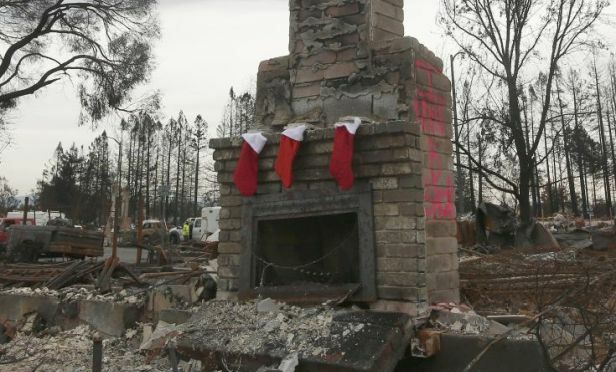 U.S. fire departments respond to an estimated annual average of 200 home structure fires that begin with Christmas trees, according to the National Fire Protection Association. These fires cause an estimated annual average of $14.8 million in direct property damage. A heat source too close to the tree causes one in every four Christmas tree fires. 4. Prevent theft. Unfortunately, the holiday season sees an increase in break-ins. Always lock your doors, keep the garage closed, lock windows, and make note of strangers in your neighborhood. Whether you are hosting a party for the neighbors or leaving home for a holiday get away, secure your valuables in a personal safe or a locked room in your home. If you don’t have one already, consider purchasing an alarm system. Also, with the gift giving season in full swing, if you have recently acquired new valuables, inform your insurance agent so that your homeowners’ insurance policy can be updated so you have adequate protection. 5. Protect your pipes. 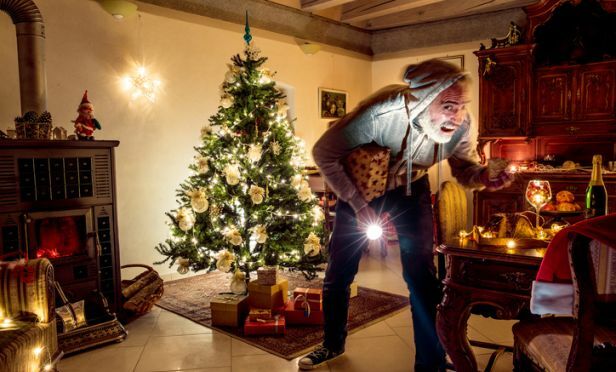 Nothing could ruin the holiday more than the unanticipated damage a burst pipe could cause. The three central causes of frozen pipes are quick drops in temperature, poor insulation and thermostats set too low. Insulate pipes in your home’s crawl spaces and attic, even if you live in a climate where freezing is uncommon. 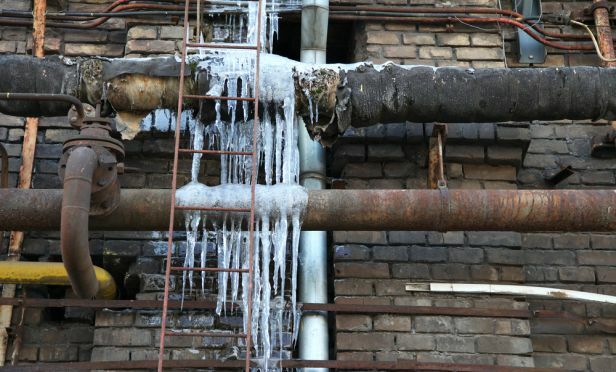 Exposed pipes are most susceptible to freezing. 6. Be a responsible party host. 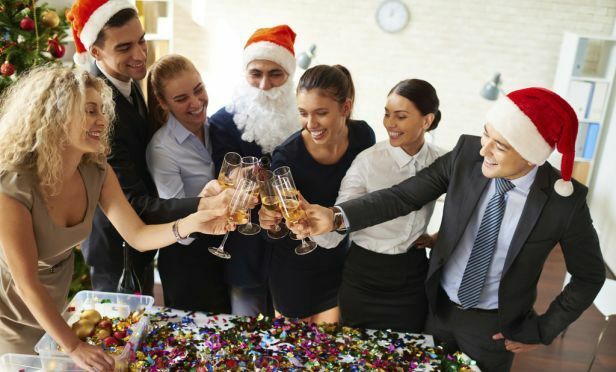 If you plan to serve alcohol at any type of party, it’s important to take steps to limit your liquor liability and make sure you are covered with the proper insurance. Offer guests the option to stay over, have a designated driver to take people home at the end of the night and ensure no one is driving after they have been drinking. 7. Protect your identity. 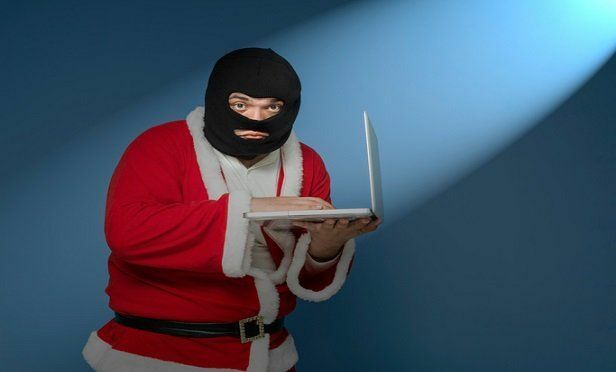 Protect yourself from hackers and identity thieves as you shop in stores and online this holiday season. Keep wallets, passports, smartphones and other sensitive items secure in bags or pockets and only take them out when needed. Only share your credit card and payment information online on trusted websites. 8. 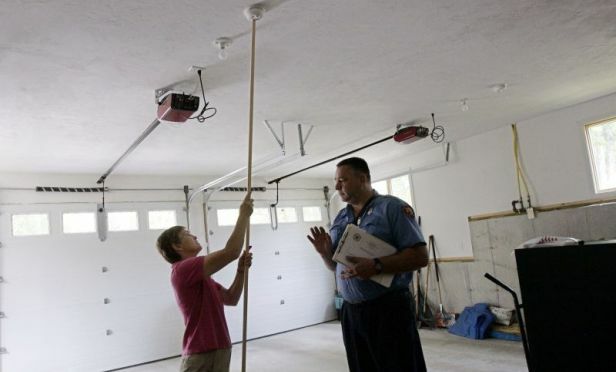 Test all your fire and carbon monoxide detectors. Help avoid fire and smoke damage by making sure your home’s fire safety prevention system is working correctly. The National Safety Council recommends you install a battery-operated carbon monoxide detector in your home near the bedrooms. Check or replace the battery when you change the time on your clocks each spring and fall. 9. Inspect and clean your fireplace. Whether you have a natural or gas fireplace, it’s a source of heat and potential danger. Have your fireplace cleaned and inspected regularly. Also, don’t position your Christmas tree — or anything else — near the fireplace. 10. Practice kitchen safety. Cooking is the leading cause of home fires year round, and the increased use of stovetops and ovens for preparing holiday meals can increase the risk. Christmas Day and Christmas Eve are the second and third most common days for home cooking fires. 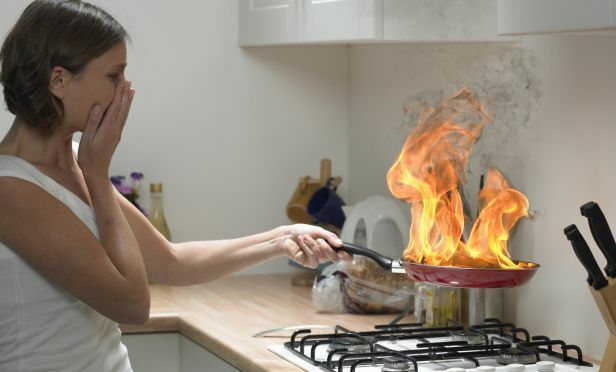 The leading cause of fires in the kitchen is unattended cooking. 11. Don’t overload electrical outlets & use proper extension cords. 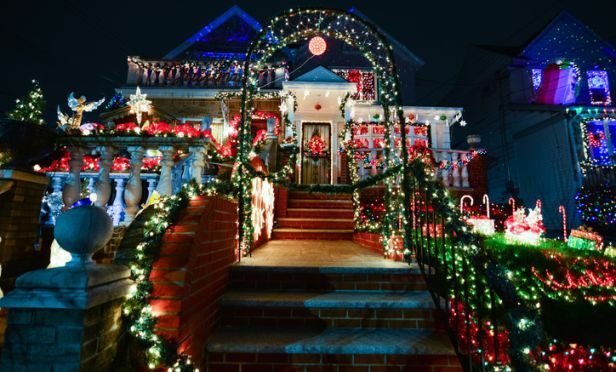 Don’t plug all of your holiday lights into one outlet or one circuit. Try to distribute the electrical load across several circuits to prevent any one from being overloaded. Extension cords should always be heavy-duty, quality cords that are grounded for fire safety. Never run extension cords under rugs or in areas where they pose a tripping hazard. 12. Follow dryer safety recommendations. According to the U.S. Fire Administration, the number of dryer fires increases in the winter months and peak in January. 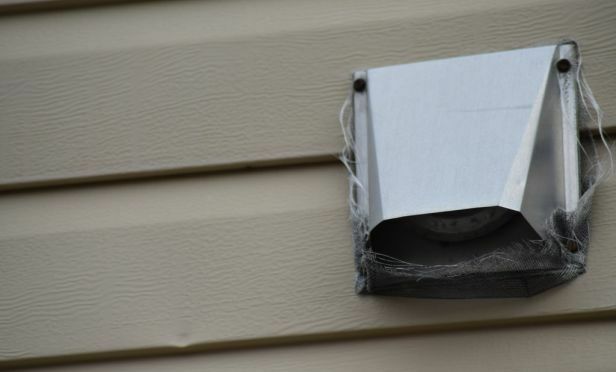 Be sure to empty the lint screen before every load and remove all snow from the outside opening to the dryer vent. Also, never run the dryer while you’re asleep or away from home. 13. Avoid injuries in the home. Injuries requiring medical attention occur more often at home than in public places, the workplace and motor vehicle crashes combined, according to an analysis by the National Safety Council. The number and rate of unintentional home injury deaths has been steadily rising since 2000, largely due to increases in unintentional poisonings and falls, according to the Insurance Information Institute. 14. Keep matches and lighters away from kids. 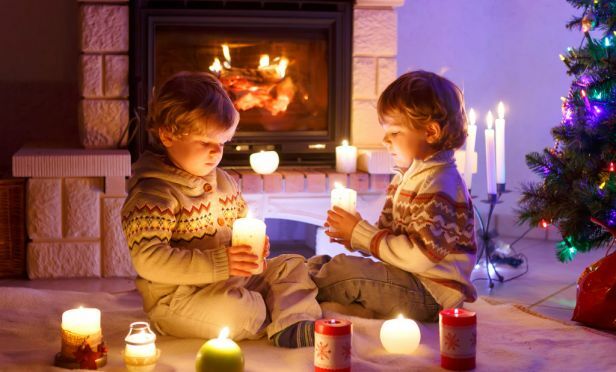 The number of blazes — and, tragically, the number of deaths — caused by children playing with fire goes up significantly during the holidays. From January through March, 13% of fire deaths are the result of children playing with fire, the U.S. Fire Administration reports, and in December, that percentage doubles. 15. Prevent pet bites. 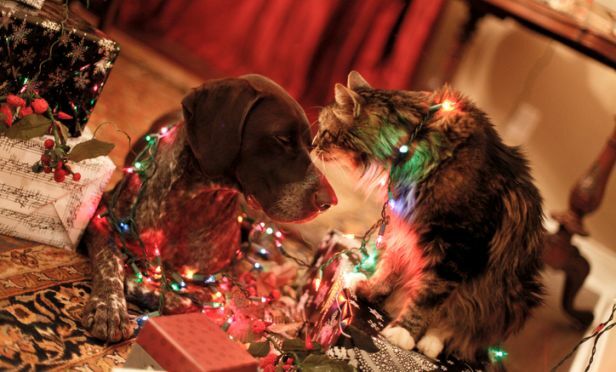 The holidays are a busy time and can cause a lot of stress, especially on your furry companions. Pets can become over-excited or territorial when unfamiliar individuals enter your home. Dog bites are a common cause of injury to guests and as the home/pet owner, you could be liable for resulting medical bills. The winter holiday season is full of family, friends and festivities, but unfortunately, all that extra celebrating, cooking and decorating can pose potentially serious hazards at home. 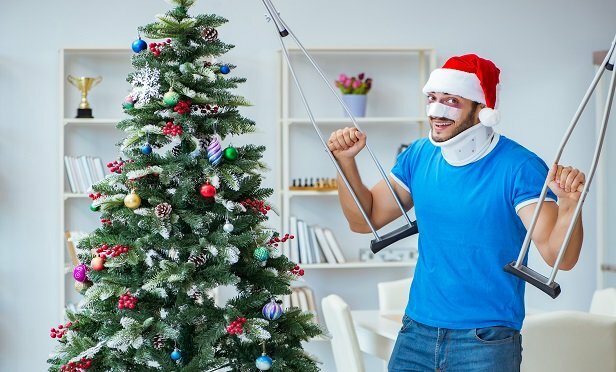 Knowing the risks and how to help avoid injury, theft and damage to property through the holiday season are important and can save you from expensive homeowners’ insurance claims.